Each year the Grand Island Chamber of Commerce selects two Youth Ambassadors, to promote interaction and goodwill between the business community and students, to bring them an awareness of the economic development of Grand Island. The two Youth Ambassadors selected will represent the youth of Grand Island at local business events such as the Citizen of the Year Awards Dinner, KidBiz, the 4th of July parade, Light Up the Boulevard Electric Parade & Festival and other Chamber and community events. This program is open to students in grades 11 and 12. This year, seniors Natalie Baldassarre and Chris Swagler were chosen and will each receive a $750 scholarship. The first event for the Youth Ambassadors will be the Light Up the Boulevard Electric Parade & Festival this Saturday, November 23rd at 5:00 p.m. The 2013 Light Up the Boulevard Electric Parade & Festivities are taking place on Saturday, November 23rd. The Rudolf Run begins at 5:00 p.m. with the parade to directly follow. The festival will include vendors, food, hot cocoa and a chance to visit with Santa at the Town Commons. The parade route is said to begin at Webb Rd. and the Blvd and travel to the Town Commons. See flyer. Applications are available on the GI Chamber website and should be completed by November 1st. See website for more information. The Grand Island Chamber will begin their "30 Deals of Giveaways" on October 1, 2013. The Chamber has made arrangements with 30 different businesses in the local area to donate a prize worth at least $50 and give you the opportunity to win these prizes. All you have to do is visit the Grand Island Chamber of Commerce webpage (www.gichamber.org) and fill out the registration for a chance to win that day�s prize! Then do the same for every 30 days during the month of October. Here are some of the prizes we have received: Grand Island Optical $100 towards a complete pair of glasses; Aceti�s Wine & Spirits $200 worth of wine; Creative Leather Concepts & Island Ship Center $150 Leather Briefcase; McMahon�s Family Restaurant $50 towards a catering event; Grand Island Serene Gardens $50 Gift Certificate; Dana�s Stylin� Pets $50 Gift Certificate; A Green Pastures Still Waters Massage Therapy $80 Gift Certificate for Hot Stone Full Body Massage; Mr. Best Wrench $66.95 Free oil Change up to 5 Qtrs. & Free tire Rotation with Brake Check; Grand Island Limousine $50 Gift Certificate; Snap Fitness $250 six month Mmembership with two Personal Training Sessions; Grand Island Dance Center $75 Free Registration & One Free Class for one month; Brite Ideas Sales & Mktg. Inc.; $75 Brite Ideas bag filled with over 25 Promotional & gift ideas; Computer Search Payroll Service $50 One Month Free Payroll Service for New Clients, DeSignet Jewelry $400 diamond & sapphire necklace, Isledegrande Platinum Advertising package, $200 value and a Toshiba TV. The holiday season is only a short four months away and as the Grand Island Chamber of Commerce promised, the "Light Up the Boulevard Electric Parade & Festival" will be bigger and better! The event will take place on November 23, 2013 from 5pm-9pm. There will be a "Rudolf Run" to kick off the evening and an Electric Parade down Grand Island Boulevard. Business's on the Boulevard are invited to participate in lighting up their store fronts. Judging will take place on Wednesday, November 20, 2013 starting at 6:00pm and winners will be announced at the festivities on Saturday night, November 23rd. To make this event bigger and better, the Chamber is asking for your help! They are looking for music groups to sing Christmas Carols, runners, vendors, Electric Parade participants and an enthusiastic audience. If you are interested in being a part of this event or being a sponsor please contact the Grand Island Chamber of Commerce office at 773-3651 or email info@gichamber.org. 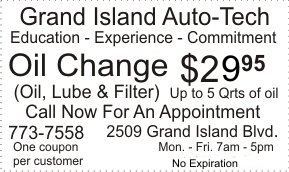 The Grand Island Chamber will begin their "30 Deals for 30 Days" on October 1, 2013. The Chamber has made arrangements with 30 different businesses in the local area to donate a prize worth at least $50 and give you the opportunity to win these prizes. All you have to do is visit the Grand Island Chamber of Commerce webpage (www.gichamber.org) and fill out the registration for a chance to win that day�s prize! Then do the same for every 30 days during the month of October. Here are some of the prizes we have received: Grand Island Optical $100 towards a complete pair of glasses; Aceti�s Wine & Spirits $200 worth of wine; Creative Leather Concepts & Island Ship Center $150 Leather Briefcase; McMahon�s Family Restaurant $50 towards a catering event; Grand Island Serene Gardens $50 Gift Certificate; Dana�s Stylin� Pets $50 Gift Certificate; A Green Pastures Still Waters Massage Therapy $80 Gift Certificate for Hot Stone Full Body Massage; Mr. Best Wrench $66.95 Free oil Change up to 5 Qtrs. & Free tire Rotation with Brake Check; Grand Island Limousine $50 Gift Certificate; Snap Fitness $250 six month Mmembership with two Personal Training Sessions; Grand Island Dance Center $75 Free Registration & One Free Class for one month; Brite Ideas Sales & Mktg. Inc.; $75 Brite Ideas bag filled with over 25 Promotional & gift ideas; Computer Search Payroll Service $50 One Month Free Payroll Service for New Clients, DeSignet Jewelry $200 gift certificate and Isledegrande Platinum Advertising package, $200 value. If your Business does not want to miss out on this fantastic opportunity to promote your business on Grand Island we still have room for you to sign up today, but do it quick spots are filling up fast! Just email us the following information to info@gichamber.org or call the Chamber office 773-3651 if you would like to be added to the 30 Days of 30 Deals event: 1)	Your Business Name 2)	Your Product / Service that you are donating 3)	The Value of the product / service 4)	What you would like to be said about your business in our blog post (up to 1 page) � something about your history, customers, uniqueness, etc. 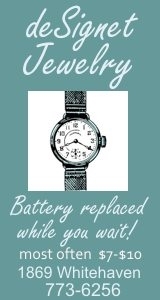 � this is subject to editing once submitted. Please send a picture of you and/or your business as well to include with the blog post. Our readers love visuals! The Chamber of Commerce is very excited to announce that Kim McMahon is our new Administrative Director. Kim was selected from a pool of qualified applicants. As a lifelong Island resident, Kim brings a wealth of experience in retail sales and managing customer relationships. The Chamber is looking forward to see her promote all of the Chamber events and coordinate its activities. In the past 8 months, Kim has been very active in working to set up the new website and currently publishes all of the online content for GIChamber.org. Kim will continue to administer the Chamber�s member health insurance. Stop by the office to say hello to Kim! 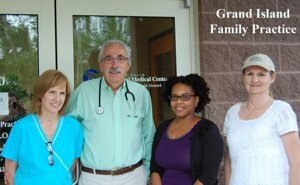 The Grand Island Chamber of Commerce KidBiz Committee would like to thank Grand Island Family Practice for being a Bronze Sponsor of the 2013 KidBiz. Without your support the Grand Island Chamber of Commerce would not be able to put together these special community programs that make our town a unique place to live. The 17th annual KidBiz event will be on Saturday, June 22, 2013 outside (rain or shine) on the Town Commons from 10:00am to 3:00pm. This event gives students in the grades from 2nd to 8th a chance to see what running a business is all about. Items for sale will include toys, sports cards, books, arts and crafts, homemade goodies and drinks. Chamber Media Director Fahim Mojawalla introduced a new idea for local businesses to increase their exposure with clients. It is called �30 Days of 30 Deals� and it will begin October 1st. Each local business that donates at least $50 worth of a product or service from their business to give away during this event will receive free advertising (worth $75) from the Chamber through ONE BLOG post within the month of June or July. Every day, during the month of October, members of the GI community will come on the chamber website to register their name to win the prize for that day. The prizes will all have been donated by local businesses like you: the better the prize, the more opportunity your business has to reach more potential customers! At this point, 15 businesses have signed up for program and now is your chance to sign up too. Just email us the following information if you would like to be added to the 30 Days of 30 Deals event; your business name, your product or service and value of product/service. Send up to one page for the blog post; product you would like to promote, information about your business, history, customers, uniqueness, etc. Please send a picture of you or your business as well to include with the blog post. The Grand Island Chamber of Commerce had a "live launch event" at the Holiday Inn on Thursday, June 6th, celebrating the latest features of their newly designed website, GIChamber.org. They would like to thank all the members who attended. Also in attendence were the new GICSD Superintendent, Dr. Teresa Lawrence, Assistant Superintendent Karen Cuddy-Miller, High School Vice Principal Michael Lauria, Middle School Principal Jerry Parisi and Grand Island Town Supervisor Mary Cooke. Chamber Media Director Fahim Mojawalla outlined the salient features of the website, including the eCommerce capabilities, social media components, dynamic blog with RSS feed, email updates and much more. The Grand Island Chamber of Commerce will host the 17th annual "KidBiz Sidewalk Sale" on Saturday, June 22nd from 10:00 a.m. - 3:00 p.m. In order to participate, children must attend a training session on Tuesday, June 4th at the GI Middle School Little Theatre from 7:00 p.m. - 9:00 p.m. Young entrepreneurs will learn various aspects of running a business. Topics such as pricing, marketing and customer service are covered at the training event. KidBiz, developed by the Small Business Development Center at Buffalo State College and Forever Elmwood, was launched in 1996. It was designed to give children in the second through eighth grade the experience and excitement of running their own business. KidBiz made its debut on Grand Island in 1997 as part of the �Plaza Happening�. Last year Jim Sharpe, Beverly Kinney and Dolly D�Orazio coordinated the event with over 110 children selling their products in the Grand Island Town Commons Park in the center of our town. Articles sold included old books, toys, crafts, baked goods, and a whole lot more. The young business owners particularly got a sense of running a business as they had to pay a rental space fee and received a �license� to sell at the site. KidBiz is an excellent opportunity for children to engage in a real-life business experience. For more information contact the Chamber office at 773-3651. The Grand Island School Business Alliance (GISBA) and the Chamber of Commerce have scheduled their 2nd Annual Golf Tournament for Monday, June 24th. The tournament will take place at River Oaks Golf Club, registration starts at 11:00 a.m. Tickets are $100 per golfer and include 18 holes of golf, cart, lunch and dinner. Dinner only tickets are available. If you would like to donate or register, call Paul Krull at 909-4634. Proceeeds benefit GIHS student scholarships. 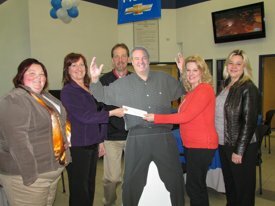 From left: Chamber reps: Kim McMahon and Liz Wilbert, Fuccillo reps: David Pignato, Michele Kuwik and Chamber rep Shannon Zaccaira. The Grand Island Chamber of Commerce would like to thank Fuccillo Automotive Group for generously giving a Platinum sponsorship once again towards the Citizen of the Year Event. Fuccillo Automotive has given back to the Grand Island Community for many years and the Chamber of Commerce greatly appreciates their generosity for this important event. The Planning Committee also met with Mark Raepple, owner of John�s Pizza as he presented a Bronze sponsorship for the Citizen of the Year event. The Chamber thanks John�s Pizza and all of the other local businesses that have stepped up this year to help with this community event. The Citizen of the Year Awards Ceremony will be held on Thursday, April 25th at the Grand Island Holiday Inn with Channel 4 Luke Moretti acting at the Master of Ceremonies. Tickets are $45 and are available to purchase at the Grand Island Chamber of Commerce Office located at 2257 Grand Island Blvd. or by calling in your reservation to 773-3651.
Business of the Year owner Ingrid Kinney opened Wavelengths Hair Design in 1982. Her father, Anton Vogel, was a very distinguished and respected barber in the community. Ingrid apprenticed under him for many years before opening her own salon. She is an icon in the industry and one of the few master barbers left in the Western New York area. 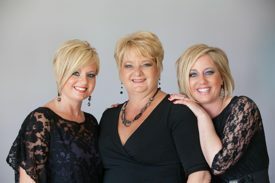 Hair design runs in the family so it was only natural that her two daughters, Danielle Neuhaus and Erica Forbes, would follow in her footsteps. Along with her wonderful staff of highly skilled stylists, Ingrid, Danielle and Erica strive to provide clients with the pampered experience of a high-end salon while still maintaining an intimate, small town atmosphere. Wavelengths is currently celebrating its 30th year in business. The last two years have been very exciting with renovations to the salon and the addition of styling labs to the salon�s list of services. A styling lab is a complimentary service where clients are invited to spend an evening learning styling techniques and tips from the staff, while enjoying appetizers and beverages. Wavelengths is staffed with talented stylists who take part in ongoing education and training to stay on top of the latest trends and fashions. Serving the community for the past 30 years, the Wavelengths staff has generously supported many Island charities and have volunteered their time to worthy causes. With their commitment to teamwork and great service, they are poised for another 30 years of providing residents with incredible hair and beauty. Linda grew up on Love Road as Linda Deeter and attended each of the 3 elementary schools , graduating from GI High in 1971. She attended Niagara University and received a BS degree in education/physical education. 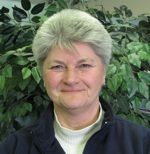 Linda started working for the Town in 1970 as a part time playground attendant and special events leader under Robert Zuchowski.In 1977 Linda became a full time staff member of the Parks & Recreation Department under James Niland, and appointed Director after Jim�s retirement. She participated in the Town�s Master Plan, Sesquicentennial events and Veterans Park Master plan. Paul might be best described as a lifelong Islander. He grew up on the waterfront of eastern Long Island and spent many a day sailing the waters of Great South Bay. He married Linda, his college sweetheart, and soon after relocated to Grand Island upon accepting a position with the US Army Corps of Engineers Buffalo District Office. As new island residents, they quickly set about pursuing their respective careers and raising their daughter, Lisa, who recently received her Doctorate from the University of Buffalo. Paul started out as a member of a team of environmental scientists supporting the various civil works planning and regulatory missions of the Corps of Engineers. 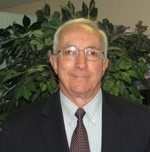 He quickly moved up through the Buffalo District organization, eventually becoming the Chief of the Regulatory Branch - a position he held until his retirement in 2003. As Branch Chief, he was directly responsible for the Department of the Army water resource regulatory mission in the eastern Great Lakes basin. In addition to leading a large staff of engineers and scientists, he personally managed the environmental evaluation of a variety of complex multimillion dollar industrial and commercial projects, often interacting with Chief Executive Officers and Members of Congress. His expertise in aquatic ecology, industrial location geography and federal environmental policy was well known in business and government circles, as well as the environmental community. It was his knowledge of federal environmental policy that often brought him to the nation�s capital to serve as a water resources policy advisor reporting directly to the Assistant Secretary of the Army for Civil Works and the Office of the Chief of Engineers. He organized the team of business and government interests that became the driving force for the restoration of Strawberry Island, after it was severely damaged by a series of intense storms in the mid-1990s. While working on this project, he developed the conceptual plan for the restoration of the East River Marsh in Beaver Island State Park, now a popular Grand Island fishing, hiking, birding and paddlesports destination. As both of these projects moved forward, he also pushed for the purchase of Motor Island using funds from the New York State Environmental Bond Act. The purchase was eventually approved and Motor Island was officially designated a Wildlife Management Area, thus establishing the only colonial bird nesting sanctuary on the Niagara River. Over the course of his government career, Paul was twice awarded the Department of the Army Meritorious Civilian Service Medal. He is the recipient of the Buffalo Federal Executive Board John E. Foley Community Service Award, and has been formally recognized by various local and national environmental organizations, as well as the United States Coast Guard. In 2005, Paul was appointed to a four-year term on the newly formed Niagara River Greenway Commission by Governor George Pataki. During his time on the Commission, he assisted in the drafting of the Niagara River Greenway Plan, founded the ever popular Paddles Up Niagara event, successfully arranged for the installation of a handicapped accessible canoe and kayak launch at the East River Marsh, and worked with the New York State Office of Parks to establish the new Spaulding Trail in Beaver Island State Park. Paul is no stranger to volunteerism. 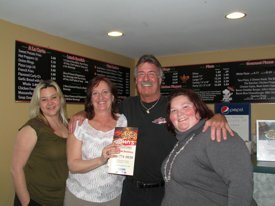 He is a past member of Long Island�s Stony Brook Volunteer Fire Department and the Grand Island Fire Company. He also served on the board of the Grand Island Neighbors Foundation and the Town of Grand Island Traffic Safety Advisory Board. He is actively involved in the boat crew, air crew and public education programs of the United States Coast Guard Auxiliary, having completed nearly 20 years of volunteer service in that organization. In addition, he is also a certified New York State Boating Safety Instructor, American Canoe Association kayak instructor, a Meals on Wheels volunteer, and an active member of the Town of Grand Island Conservation Commission. When not working on some project for the public good, Paul can often be found kayaking the Niagara River or hiking island trails with his wife, Linda, and their Shetland Sheepdog, Jade. Although well-traveled, Paul still firmly believes Grand Island is the grandest place to live and play. Recently Liz Wilbert, Chairperson of the planning committee for the Citizen of the Year Event thanked Chris Taylor and Travis Smith, owners of Certified Auto Brokers for participating in this year�s event as bronze sponsors. The Chamber would like to thank the following businesses for supporting this important community event: Platinum sponsors to date are the Grand Island Holiday Inn and Niagara Frontier Publications. Gold Sponsor to date is Life Technologies. Silver sponsors to date are Toshiba Business Solutions and Key Bank. Bronze sponsors to date are Aceti�s Wine and Spirits, Sam Long Landscaping and Excavating, Liz Wilbert of Realty USA, Creative Leather Concepts and Island Ship Center, McMahon�s Family Restaurant, Mr. Best Wrench, Riverside Federal Credit Union, Citizens Bank, SNAP Fitness, First Niagara Bank, Grand Island Optical, Four Points by Sheraton Hotel, Elderwood Health Care at Riverwood, Tops Markets and Certified Auto Brokers. If you or your business would like to join these distinguished businesses in supporting the Citizen of the Year Awards Ceremony with a Platinum Sponsorship of $2,000, Gold Sponsorship of $1000, Silver Sponsorship of $500 or a Bronze Sponsorship of $300 please don�t hesitate to contact the Grand Island Chamber of Commerce at 773-3651. Martin Allen has taught instrumental music in the Grand Island Schools for twenty-five years. After four years at the elementary level, Mr. Allen is in his twenty first year at the high school. Under his baton, Grand Island High School Ensembles have been recognized for their excellence at State and National Music Festivals, including performances at NYSBDA, NYSSMA, and MENC All Eastern Conventions. They have received level five and six Gold Medals ratings at the New York State School Music Associations Major Organization festivals from 1994 - 1998 and level five and six Gold with Distinction ratings from 1998 to the present. They have also performed at Dixie Classic National Music Festivals since 1994 where they have been awarded Superior Ratings as well as Festival Honors at the Classic Festivals and The National Adjudicator�s Invitational Festivals. The group also performed at the Grand National Adjudicator�s Invitational in 2000 and 2004 and 2008, where they received Superior ratings and awards for the Outstanding Percussion Sections. Additional honors awarded at these festivals have been Outstanding Brass, Outstanding Woodwind, Outstanding Percussion Sections and five Outstanding Solo Awards. A graduate of SUNY at Buffalo, Mr. Allen has his MM in Education from VanderCook College Of Music in Chicago with additional graduate work at SUNY Buffalo and SUNY Fredonia. He has guest conducted at various levels in Erie, Monroe, Niagara, Wayne, Genesee Wyoming, Genessee Valley, Malone and Saratoga counties and has been a guest clinician with several area school districts. An accomplished pianist, Mr. Allen has served as Organist and Choir Director at area churches and as a trombonist and baritone with the Buffalo Silver Band. He has served on the Executive Board of the Erie County Music Educators Association where he has chaired the Instrumental Committee and served as Vice President. 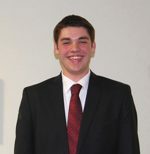 He has also served on the executive board of the New York State Band Directors Association. Mr. Allen was honored with the American School Band Directors Association Regional and National Directors award for Outstanding Service to the American Band Movement in 1998 as well as the ECCMC/Buffalo Philharmonic Orchestra Award for excellence in music education in 2004. Early life was rather nomadic for Kevin. He and his wife Sharon have, however, called the Island home for nearly half a century. It was studying the Scripture in a high school humanities class, and the witness of classmates from Bible Presbyterian Church that led Kevin to know Jesus Christ as his Lord and Savior. It was the care and influence of people at Bible Presbyterian Church that helped Kevin grow in his faith and understand God�s call to the ministry. Its been the partnership and support of his wife Sharon that�s made his ministry possible. Kevin left high school for college where he majored in Biblical Literature with a "minor" in Education. Graduate school brought Kevin to Faith Theological Seminary, near Philadelphia. While completing a Masters of Divinity, he pastored a church in Trenton, New Jersey and served as an assistant to Dr. Carl McIntire. His work, with McIntire, involved ministry at the local church and radio and television ministries. After graduation, Kevin was set to continue graduate studies in counseling as well as serving as director of the denomination's foreign missions board when Grand Island Bible Presbyterian Church asked him to come home to join the pastoral staff. "There was no place I�d rather serve" Kevin said. "It was and still is a deep desire of my life to serve the Lord among the people who have invested so much in me. It�s one of the greatest privileges of my life to serve the Grand Island congregation as a pastor for over 30 years." According to Kevin, "Any award for ministry is really as much for the people of the church as for its pastor. People keep telling me 'Your church is unique on the Island.' The Bible Presbyterian Church is a church that is grounded, active and consistently reaching out to minister beyond her walls. "VBS at Bible Pres" is a childhood memory for thousands. AWANA follows in that same pattern. Ministry to young people and their families characterizes our congregation." Dr. Backus continues, "the pressures on families today are enormous. Care for people means caring for their problems. The ministry at "Bible Pres." is committed to applying the Word of God to people�s lives." While at the church, Kevin returned to Whitefield Theological Seminary to complete a Masters in Sacred Theology (STM) and Doctor of Philosophy (Ph.D.) both in Biblical Counseling. Dr. Backus teaches those courses now in seminary and offers them as an extension campus at the church's Family Life Center. Free counseling is provided to the community through the Biblical Counseling Center of Grand Island, and counselors are continually being trained to serve across Western New York and Southern Ontario. Dr. Backus continues to lecture internationally and severs on the National certifying board for biblical counselors. Serving others doesn�t stop at the bridges. Grand Island is a strategic congregation for the Bible Presbyterian denomination. International relationships and foreign missions for the denomination are overseen, in part, by officers of the Island church. 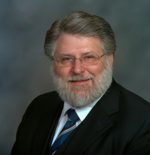 Dr. Backus serves as the Chairman of the Inter- Church Relations Committee and is the International Field Director for the Presbyterian Missionary Union. As Moderator and Host Pastor for the Synod, this summer, Kevin says, we should see people from around the world coming to Grand Island to celebrate the denomination�s 75th anniversary. "This is the Lord�s work and we are deeply grateful to Him for allowing us to serve in it." 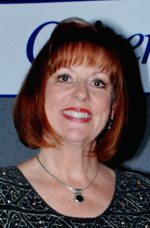 The Grand Island Chamber of Commerce is honored to have chosen Beverly A. Kinney to be presented with the �Citizen of the Year Award� for �Community Service� for 2012. Beverly Kinney has work in the Grand Island community in many capacities for over 20 years. She is well known on Grand Island for activities connected with the Grand Island Chamber, Kinney held offices in the Chamber for the more than 14 years. She has served on the Executive Board in the rolls of, Chamber President, Vice President, 2nd. Vice President, Secretary as well as a director. She has also helped the Chamber by serving on committees such as Budget, Telephone Book, Youth Ambassador, Chamber Scholarship. Island, Happenings, Kidbiz, Marketing & Membership. the Sesquicentennial Ball, co-chair of the Economic Development & Chamber�s Relay for Life team. Her background is in marketing and she has used these skills in organizing and developing the marketing programs that make events successful. The Chamber presented her with a plaque of Appreciation for �Outstanding Leadership� as Chamber President 2005-2007. At the Citizen of the Year Awards dinner in 2010, Beverly was presented with a special award on behalf of the entire Board of Directors for her �Outstanding leadership� by Chamber President, Eric Fiebelkorn� �She is one of those incredible people that make Grand Island a wonderful community to live in�. She was presented with Proclamations & Citations from Congresswoman Slaughter, Erie County executive Chris Collins, Legislator Michele M. Iannello, Assemblyman Sam Hoyt & the Grand Island town Board for �Outstanding Leadership� in 2008. Bev was awarded the Grand Island Business and Professional Women Chapter�s ORT, Inc Award for �Women in business, Effective Leadership Award 2007-2008. Bev is a member of the G.I. Business & Professional Women Board and is currently their treasurer. Bev sits on the board for the PROI Foundation, Inc. which funds research in cancer, provides money for women who wish to attend medical school for an M.D. or medical Ph.D., and money for those who could otherwise not afford to have chemo sensitivity and resistance testing, founded by Sherry Bradford. Bev was appointed to the Grand Island town board for Economic Development Advisory Board by the Grand Island town board. Serving on the board for over 9 years, 5 years as co-chair, she currently serves as secretary of EDAB. She was instrumental in developing marketing tools for the town of Grand Island. She serves on the board for �Dollars for Scholars�, which raises funds for scholarships for Grand Island residents. The Dollars for Scholars organization works with participating college's nation wide to secure matching funds for many of the scholarship recipients. James Watz has been chosen as the recipient of the Performing Arts Award. Jim graduated from Canisius College and Boston College Law School, and served as a Captain in the US Army and Associate Professor of Law at the US Military Academy at West Point. During his legal career with Phillips Lytle LLP he was active in professional and pro bono work and was an adjunct Instructor of Business Law at SUNYAB. Jim has served on the St. Stephen Church Parish Council, School Advisory Board and School Finance Committee, and is a member of the Grand Island Historical Society and Friends of the Library. He enjoys being a tour guide and volunteer at Old Fort Niagara, and participates in fundraising for the Cystic Fibrosis Foundation of Western New York. 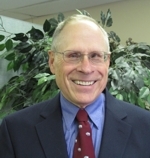 Jim was Chairman of the Board of the Christian Foundation for the Performing Arts (Festival Chorus under Doug Wendt), and is founder and President of the Grand Island Community Chorus. Under the direction of Carolyn Lokken and accompanied by Kathy DeGlopper, the Chorus gives three concerts each year, including a concert last Spring with the Buffalo State College Philharmonia orchestra and student choral groups. We also regularly perform at health care facilities and civic, charitable, and community events such as the Town Tree Lighting, Inaugural ceremony, Veterans� and Memorial Day observances, and Thanksgiving Ecumenical Service. Each year the Chorus awards a scholarship to a graduating Grand Island High School senior who plans to pursue choral music in college. 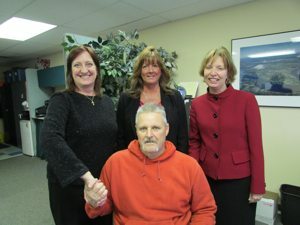 From left: Liz Wilbert, Chairperson of the planning committee; Pattie Bianco, Colleen Crauss and Tom Long. The Grand Island Chamber is so thankful to all of the local businesses that have given to the Citizen of the Year Awards Event. It proves once again what a special community we live in to have so many recognize this important community event and want to give back. Liz Wilbert, Chairperson of the planning committee for the Citizen of the Year Event thanked Tom Long, owner of Sam Long�s Excavating and Landscaping, Pattie Bianco, manager of Tops Markets on Grand Island and Colleen Krauss, Administrator of Elderwood Senior Healthcare at Riverwood for all participating in this year�s event as bronze sponsors. The Chamber would like to thank the following businesses for supporting this important community event: Platinum sponsors to date are the Grand Island Holiday Inn and Niagara Frontier Publications. 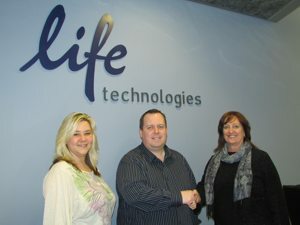 Gold Sponsor to date is Life Technologies. Silver sponsors to date are Toshiba Business Solutions and Key Bank. Bronze sponsors to date are Aceti�s Wine and Spirits, Sam Long Landscaping and Excavating, Liz Wilbert of Realty USA, Creative Leather Concepts and Island Ship Center, McMahon�s Family Restaurant, Mr. Best Wrench, Riverside Federal Credit Union, Citizens Bank, SNAP Fitness, First Niagara Bank, Grand Island Optical, Four Points by Sheraton Hotel, Elderwood Health Care at Riverwood and Tops Markets. 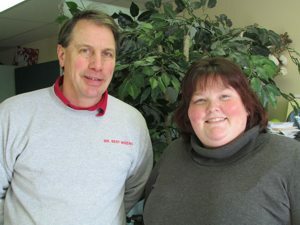 The Grand Island Chamber of Commerce recently announced their 2012 Awardees. They are; Business of the Year � Wavelengths Hair Design, Civic Person of the Year � Paul Leuchner, Community Service Person of the Year � Beverly Kinney, Educator of the Year � Marty Allen, Ministry Award � Rev. Kevin Backus, Performing Arts Award � Jim Watz and Lifetime Achievement Award � Linda Tufillaro. These six individuals and one business will be honored by the Grand Island Chamber of Commerce on Thursday, April 25th, as Citizens of the Year recipients. The dinner and awards presentation will take place at the Grand Island Holiday Inn starting at 6:00pm with WIVB-TV Channel 4 Luke Moretti serving at the master of ceremonies. Tickets may be purchased at the Chamber Office located at 2257 Grand Island Blvd or call 773-3651 to make your reservation. 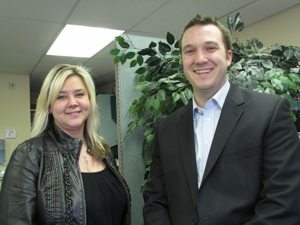 From left: Shannon Zaccaria and Ryan Bopp, an Account Executive from Toshiba Business Solutions. 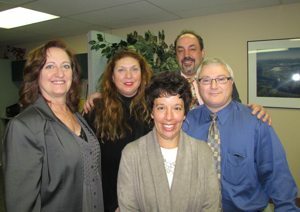 Liz Wilbert, Chairperson of the planning committee; Maryanne Fechter, Teresa Costello, Mike Samland and William Waldron. The Grand Island Chamber of Commerce would like to thank Toshiba Business Solutions for once again showing their support for the Citizen of the Year Dinner and Awards Ceremony. This important community event recognizes Grand Island residents who have given much of their time and talents in making Grand Island the wonderful community it is today. The Chamber of Commerce would also like to thank SNAP Fitness, First Niagara Bank, Grand Island Optical, and Four Points by Sheraton Hotel for showing their support of this event by contributing a Bronze Sponsorship. Platinum sponsors to date are the Grand Island Holiday Inn and Niagara Frontier Publications. Silver sponsors to date are Toshiba Business Solutions and Key Bank. Bronze sponsors to date are Aceti�s Wine and Spirits, Sam Long Landscaping and Excavating, Liz Wilbert of Realty USA, Creative Leather Concepts and Island Ship Center, McMahon�s Family Restaurant, Mr. Best Wrench, Riverside Federal Credit Union, Citizens Bank, SNAP Fitness, First Niagara Bank, Grand Island Optical and Four Points by Sheraton Hotel. From left: Mark Palmer, Riverside Federal Credit Union; Liz Wilbert, Chairperson of the planning committee; Sam Aceti, Aceti�s Wine & Spirits; and Debbie Weyers, Grand Island Branch Manager of Citizens Bank. The Grand Island Chamber of Commerce would like to thank Michael Keating, Grand Island Key Bank Branch Manager and Yvonne Michaels, Key Bank�s Client Service Manager for their generosity and support of the Citizen of the Year community event. 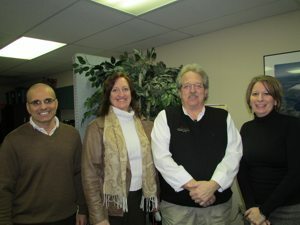 Shannon Zaccaria, Citizen of the Year planning committee member, met with Keating and Michaels at their 2180 Grand Island Blvd. branch location to say thank you for the silver sponsorship. Liz Wilbert, Chairperson of the Citizen of the Year planning committee met with the following local businesses to thank them for their support and generosity as they all stepped up as bronze level sponsors. 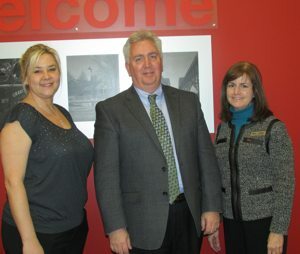 From left to right in photo are Mark Palmer, Riverside Federal Credit Union; Liz Wilbert, Chairperson of the planning committee; Sam Aceti, Aceti�s Wine & Spirits; and Debbie Weyers, Grand Island Branch Manager of Citizens Bank. The Awards Ceremony will be held on Thursday, April 25th at the Grand Island Holiday Inn. The Grand Island Chamber of Commerce would like to thank the following local businesses for showing their support of this event. Platinum sponsors to date are the Grand Island Holiday Inn and Niagara Frontier Publications. Gold sponsor to date is Life Technologies. Silver sponsors to date are Toshiba Business Solutions and Key Bank. Bronze sponsors to date are Aceti�s Wine and Spirits, Sam Long Landscaping and Excavating, Liz Wilber of Realty USA, Creative Leather Concepts and Island Ship Center, McMahon�s Family Restaurant, Mr. Best Wrench, Riverside Federal Credit Union, Citizens Bank and SNAP Fitness. The Grand Island Chamber of Commerce would like to thank Rod Reisdorf, owner of Mr. Best Wrench located on Bedell Road and Kimberly McMahon of McMahon�s Family Restaurant on Grand Island Blvd. 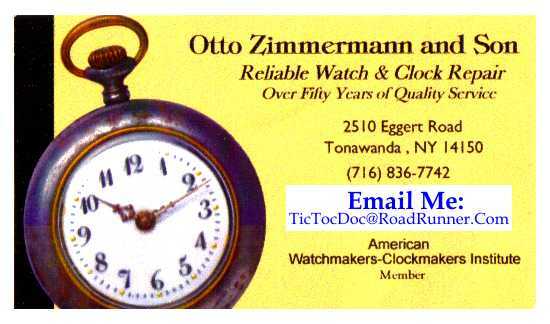 for stepping up as Bronze sponsors for this year�s "Citizen of the Year" Dinner and Awards Ceremony. The awards ceremony will be held on Thursday, April 25th at the Grand Island Holiday Inn, with WIVB-TV�s Luke Moretti serving as the Master of Ceremonies. The following local businesses are supporting the "Citizen of the Year" program. Platinum sponsors to date are the Grand Island Holiday Inn and Niagara Frontier Publications. Bronze sponsors to date are Aceti�s Wine and Spirits, Sam Long Landscaping and Excavating, Liz Wilber of Realty USA, Creative Leather Concepts and Island Ship Center, Riverside Federal Credit Union, Citizens Bank and SNAP Fitness. The Grand Island Chamber of Commerce would like to thank Life Technologies for once again showing their support for one of the largest community events held on Grand Island, the "Citizen of the Year Dinner and Awards Ceremony". Life Technologies has participated in this event the last several years and was recognized as Business of the Year in 2009. 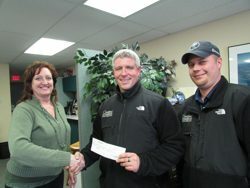 Scott Baird, Senior Director of Operations at Life Technologies met up with Shannon Zaccaria, Citizen of the Year Planning Committee member and Liz Wilbert, Chairperson of the Citizen of the Year Planning Committee to offer his contribution. The Awards Ceremony will be held on Thursday, April 25th at the Grand Island Holiday Inn. The Grand Island Chamber of Commerce would like to thank the following local businesses for showing their support of this event. Platinum sponsors to date are the Grand Island Holiday Inn and Niagara Frontier Publications. Bronze sponsors to date are Aceti�s Wine and Spirits, Sam Long Landscaping and Excavating, Liz Wilbert of Realty USA, Creative Leather Concepts and Island Ship Center, McMahon�s Family Restaurant, Mr. Best Wrench, Riverside Federal Credit Union, Citizens Bank and SNAP Fitness. If you or your business would like to join these distinguished businesses in supporting the Citizen of the Year Awards Ceremony with a Platinum Sponsorship of $2,000, Gold Sponsorship of $1000, Silver Sponsorship of $500 or a Bronze Sponsorship of $300, contact the Grand Island Chamber of Commerce at 773-3651. If you know of a person, business or organization deserving of this award, please nominate them by March 8th. Nomination forms can be found on the Grand Island Chamber of Commerce website www.gichamber.org or pick one up at the Chamber Office, 2257 Grand Island Blvd. The Grand Island Chamber of Commerce would like recognize Fahim Mojawalla, owner of Creative Leather Concepts and Island Ship Center, along with Liz Wilbert of Realty USA, for their generosity by stepping up as Bronze Sponsors for this year�s Citizen of the Year Awards Event. The awards ceremony and dinner will be held on Thursday, April 25th at the Grand Island Holiday Inn, with WIVB-TV�s Luke Moretti serving as the Master of Ceremonies. The Grand Island Chamber would like to thank the following local businesses for showing their support of this event. Platinum sponsors to date are Grand Island Holiday Inn and Niagara Frontier Publication. Bronze sponsors to date are Aceti�s Wine and Spirits, Sam Long Landscaping and Excavating, Liz Wilbert of Realty USA, Creative Leather Concepts and Island Ship Center, McMahon�s Family Restaurant, and Mr. Best Wrench. If you know of someone deserving of this award please nominate them by March 8th. Nomination forms can be found on the Grand Island Chamber of Commerce website www.gichamber.org or picked up at the Chamber Office, 2257 Grand Island Blvd. 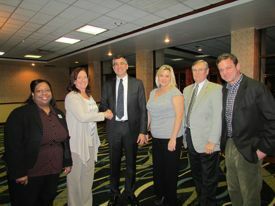 From left: Tracy Collymore - Holiday Inn, Liz Wilbert, Committee Chairperson, GM Scott Swagler, Shannon Zaccaria & Jim Sharpe, Planning Committee and Tucker Curtin - Holiday Inn. The Grand Island Citizen of the Year Awards Committee has announced the 2013 Platinum Sponsors are the Grand Island Holiday Inn and Niagara Frontier Publications. The annual awards dinner will take place on Thursday, April 25th at the Holiday Inn, which has a new Chef, Island resident Sam Reda. If you know of someone deserving of this award please nominate them by March 8th. Nomination forms can be found on the Grand Island Chamber of Commerce website www.gichamber.org or picked up at the Chamber Office, 2257 Grand Island Blvd. The Grand Island Chamber has chosen local tv personality Luke Moretti as their master of ceremonies for the Citizen of the Year Awards Dinner. The dinner will take place at the Grand Island Holiday Inn on April 25, 2013. Each year the Chamber asks the community to nominate residents, business owners or individuals whose contributions have made our town a better place to live. 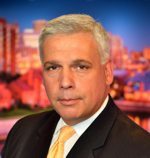 Luke Moretti works with Channel 4 News and has spent over 30 years in broadcasting. The chamber office noted in their press release that Mr. Moretti "is the recipient of national, regional and state awards, reflecting a body of work that has been enterprising and informative. Luke�s investigative work on the crash of Flight 3407 contributed to WIVB-TV receiving the coveted Edward R. Murrow Award." If you would like to nominate a member of our community for a Citizen of the Year Award you can download the nomination form from the Chamber website www.gichamber.org and return it to Grand Island Chamber of Commerce 2257 Grand Island Blvd. Grand Island, NY 14072 by the deadline of March 8th. Nomination forms are also available inside the 2013 Grand Island Community Directory which is currently being delivered all over Grand Island.